With generous storage and an abundance of stylish features, this multi functional treat bag has been designed for the enthusiastic and serious dog owner / trainer. A wide opening to the main pouch ensures easy access to treats, whilst the magnetic popper and drawstring fastening provide additional security where necessary. 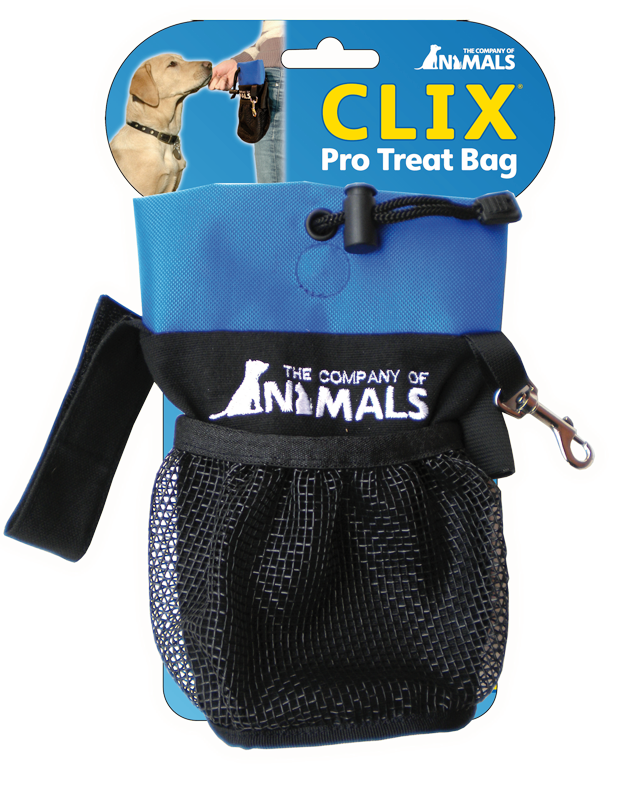 There is even a sealed, hidden pocket on the reverse of the bag, which is ideal for storing personal items and an elasticated front pouch; handy for keeping your other training accessories like the CLIX Multi-Clicker, Target Stick or Whistle close to hand.